Inside: Want to know how I run a business, travel full-time, spend time with my family and still have a little time leftover for myself? Here are my five not-so-secret secrets to getting stuff done. If you would have told me ten years ago that blogging would fully support my family, I probably would have told you that you were silly. A dreamer. Someone not living in reality. And if you would have also told me that not only would I run a successful business, but I would do it while traveling full-time, I would have Laughed Out Loud. You see, I didn’t take myself seriously as a business woman back then. In fact, I didn’t even call myself a business woman. I think that’s a common problem for women who want to start a business or are in that hobby phase where it’s starting to make a little bit of money. Others don’t take us seriously, whether that’s a spouse, another family member or friend, so then we let those little voices get into our heads and we end up not taking ourselves seriously. But let me tell you something. You are brilliant. You are unique. You have ideas. And they’re good! You have something to share with this world. And I take you seriously. I’ve had quite a few of you ask me to expand on running a business and how I do it all. (Spoiler alert: I don’t do it all.) So thanks to some nudging from some good blogging friends of mine, I’ll be covering business topics more often here. Feel free to shoot me an email (julie at momfabulous.com) and let me know what you’d like to hear. 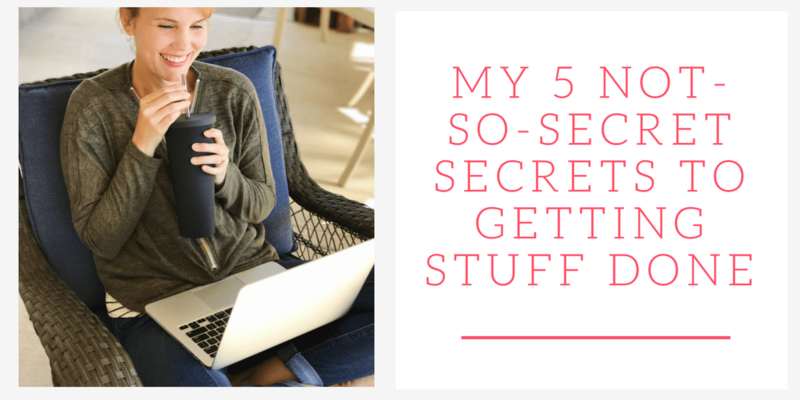 First up, my five not-so-secret secrets to getting stuff done. Back when I lived in a house (LOL, I live on the road now), I had eight uninterrupted hours to work. My husband took care of both school drop-off and pick-up. I had one kiddo in college and one who could drive. Needless to say, I had A LOT of time on my hands to work. But now that I travel full-time, a full day to work is very rare. Why? Well, we move around quite a bit and there’s always something new to see! Plus, I’m still adjusting to living in 200 square feet with my family. But, I realized I get about the same amount of work done that I did when I had eight hours at my fingertips. There is no telling how long I spent scrolling through Facebook. I would go on for ‘just a minute’ to respond to comments on my Facebook page or check-in on business groups I’m in and then bam, an hour of my day was shot. Now when I check social media, I am on a mission. I rarely aimlessly scroll. I rarely get lost up in conversations. I just do what I need to do and then I shut it down. Staying off social media has given me back so much time. Not to mention I’m less stressed because of it. Social media is a dangerous place these days. Are you an all day coffee or soda drinker for energy? If you are, I completely understand. At one point, I was having around four cups of coffee a day. Sure, it gave me a super quick afternoon pick me up, but within 30 minutes I was back to no energy and a complete lack of focus. Now I have one cup of coffee with breakfast and that’s it. 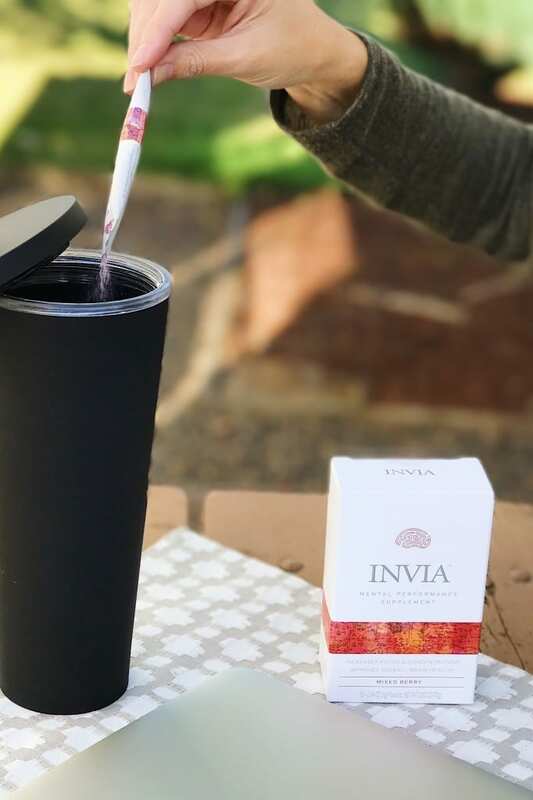 I replaced that coffee habit with INVIA. They reached out asking if I would like to try their drink packets and I said sure! They had me at ‘enhances focus and performance’. Because I don’t know about you, but these days I have a very short attention span. Focusing, really focusing on the task at hand can be difficult. 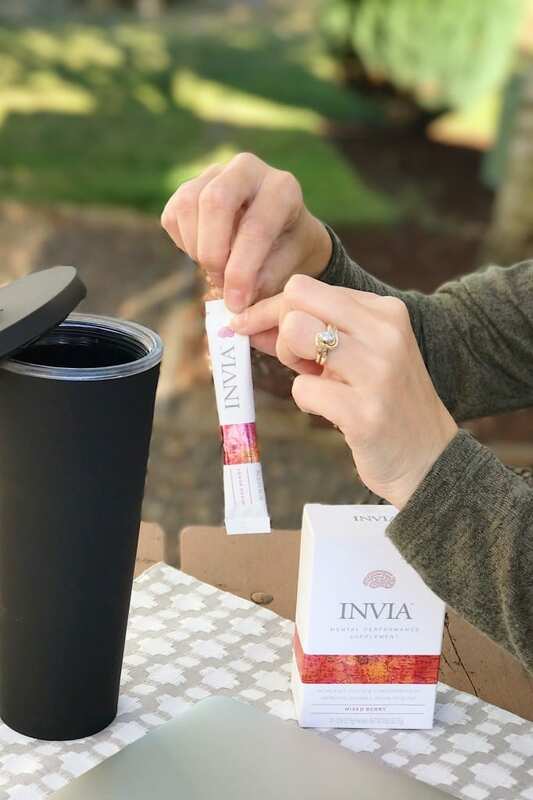 Not only does INVIA taste amazing (both the Tea Lemonade and Mixed Berry are delicious) but it’s convenient. You just open the packet and add it to your water. Not only has this replaced my bad coffee drinking habit, but I’m now drinking more water. Win-win. The little packets are so convenient that I now take them with me everywhere. Like when my daughter and I flew to Texas to move her back into her college dorm. (Someone give me a hug.) 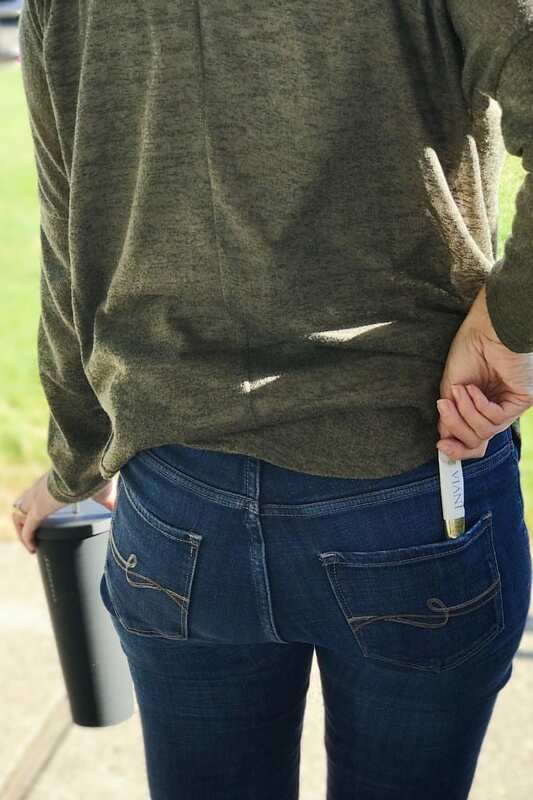 I threw a few in my purse and loved the convenience factor! 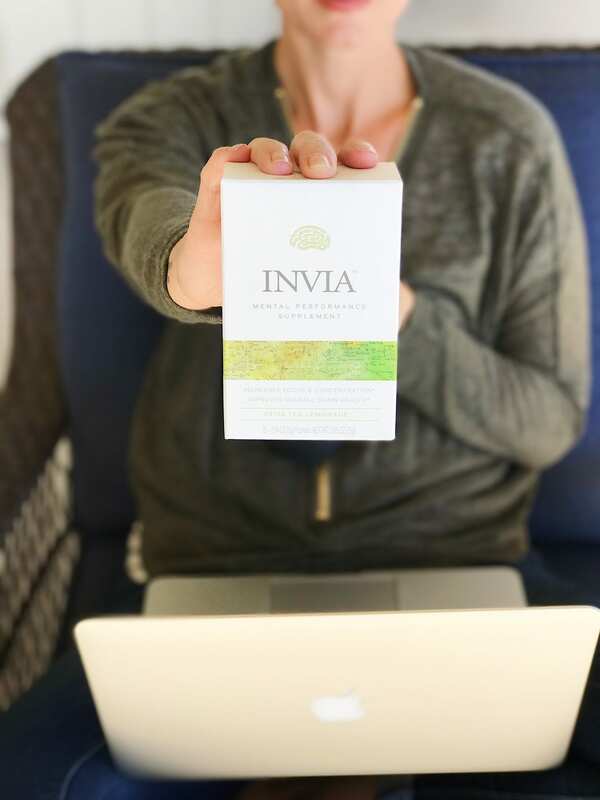 You can find out more about INVIA + their subscription service on their website. Plus, get 50% of your first order with the code FAB50! Okay, so my husband would completely roll his eyes over the fact that I added ‘ask for help’ on this list. Because y’all, I am seriously bad at asking for help. But, I’m learning! After years of doing tasks I hated, I finally hired an assistant. After years of hoping my husband would just learn to read my mind, I am verbalizing what I need from him. After years of thinking asking for help or hiring help was a sign of weakness, I realized it’s actually a sign of brilliance. So ask for help and do it boldly. Have you heard of bullet journaling? I had but had only seen the fancy, way over the top ideas on Pinterest. And then my daughter explained the idea behind it and the process in layman’s terms. And then she wrote this post about bullet journaling for Mom Fabulous. And then it clicked. I purchased a simple spiral bound notebook and got started. I now have a very specific list of everything that absolutely needs to be done that day. I’ve developed a system that works for me and I’ve never been more productive in my life. When I have a little bit of extra time on my hands and all my daily tasks are complete, I then look over my future tasks (I call it my running to do list) and get a couple of those done. Between INVIA helping me focus and this system of knowing what tasks need to be done, I feel like superwoman some days! Ha! When I have other women reach out to me asking how I got to where I am now, I always lead with ‘because I treated it like a business.’ As soon as I started taking myself and my blogging serious, things started to take off. Are you a woman who’s wanting to start a business or already have one? Share with me your biggest struggles and let’s open up the conversation. 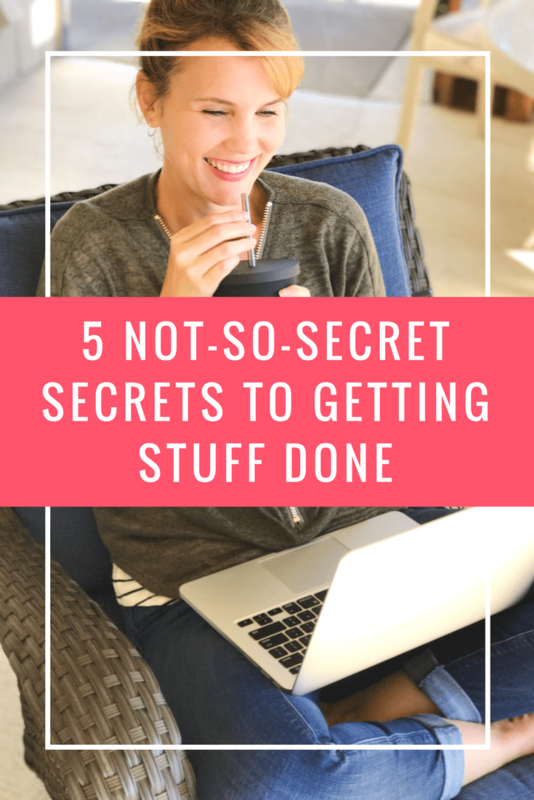 I hope these five not-so-secret secrets to getting stuff done have helped you feel inspired to reach your business goals and value what you have to offer. Reminders like these are so valuable – thank you for sharing! I have a home based business, and I love everything that it had brought into my life.